BUFFALO, N.Y. — A University at Buffalo research team has designed an app to help detect autism spectrum disorder (ASD) in children as young as 12 months old. EarlySee launches today to coincide with World Autism Awareness Day. The free app is available to android smartphone users and is accessible via this website. The app tracks behavioral information to deduce neurocognitive responses of children observing social scenes. Children at high risk of ASD will often respond differently to a conversation among multiple people, for example, than that of of a child without autism. Based on its test results, the app may suggest further medical attention. 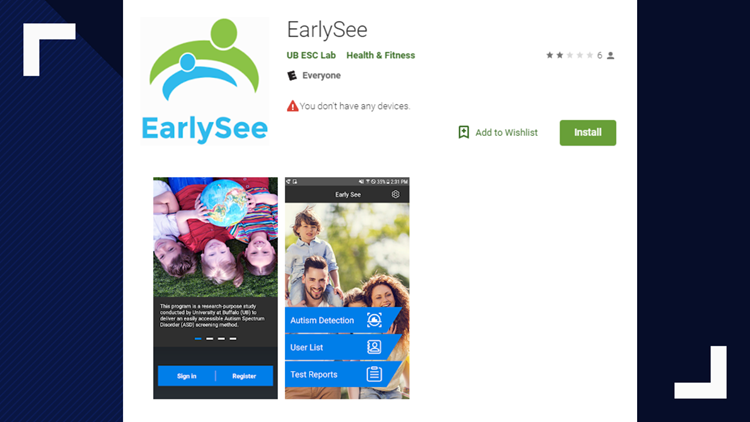 EarlySee is an advanced version of a previous app developed by UB, the John R. Oishei Children’s Hospital of Buffalo and SUNY Buffalo State.